Many of you have probably read about our recent transition to a larger piece of land and our ever expanding garden and homesteading skills but we didn’t start like this. Although Scott and I both have rural backgrounds we have had to learn a lot along the way and as I mentioned in my last post, taking small steps is the best advice I’ve ever gotten. When you take small steps homesteading can be affordable and and fun. Unfortunately sometimes it’s difficult to determine the first steps to take. For us one of the biggest things has been simplifying our lives. We have done this predominantly decreasing our expenses. We don’t have cable or phones, we don’t use a dryer, we grow a lot of our own food, and hope by building our own house and paying as we go to be mortgage free. Less bills means we can work less and focus more on our homesteading activities. Some of this has also freed up our time simply by default as we don’t spend time watching TV or texting. We didn’t make the changes overnight but did them slowly and adjusted to them as we went along. Over the years we have also slowly increased our homesteading skills. Each year Scott and I expand our garden a little more and try adding new crops. This past year we added popcorn and sorghum to the list. I also have dipped into small projects like learning to knit new things (thanks Youtube! ), making soap, making tinctures and extracts and other homemade goods. Each year Scott does a little more work on our truck to keep it on the road, again with Youtube’s help, and makes us a little more self reliant. You don’t have to spend a lot of money or be totally self sufficient to be a homesteader. As I am sure many of you can attest to, homesteading is not easy but it is empowering and totally worth it. Now things like caring for the gardens and making bread seem ordinary and every day but when I actually take time to think about what our lives were like just two years ago our progress seems astounding. Making those first steps like baking my first loaf of bread or knitting my first hat were difficult and overwhelming but slowly they became easy, even ordinary. 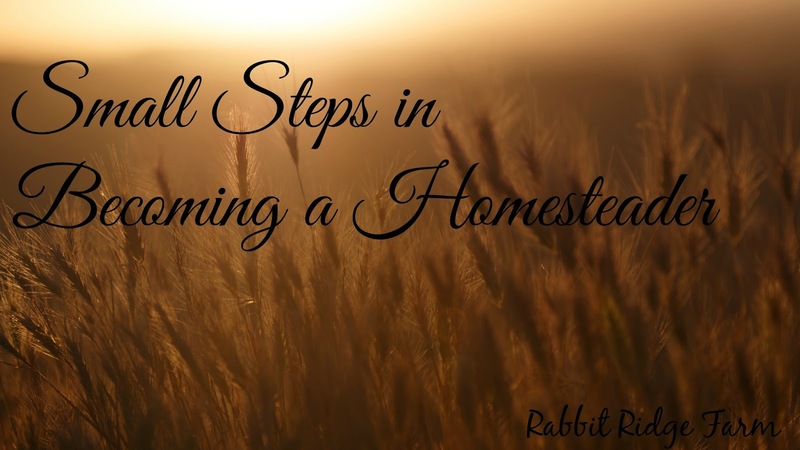 What steps have you taken to become a modern homesteader?